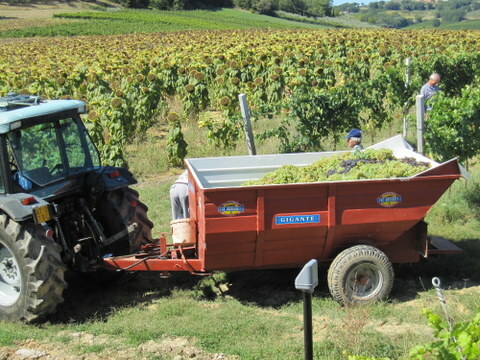 I couldn’t believe my eyes on the 1st September – there I was wasting time on the computer as usual and, of course, occasionally gazing out the window – I do have a rather spectacular view of Montefalco and the rows of vines at the back of the house – when suddenly there appeared a tractor with a big trailer and a few rustic guys n gals with old plastic buckets outside my window. Skilful driving around the tight turns around the rows! 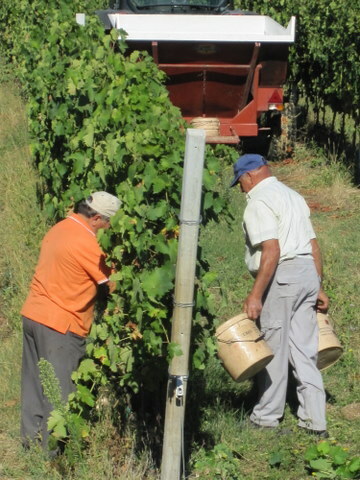 They had a short laughter-filled meeting and then separated and scurried down the rows of grapevines armed with their buckets and with the tractor slowly making it’s way up through the middle of the vines so that the folk could empty their buckets of glorious grapes into the trailer without having to walk too far. 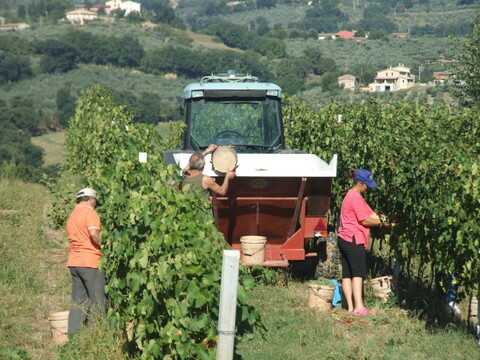 Our landlord sells the grapes to a local cantina about 2 km away from here Il Poggio Turri …. Getting into the swing of things now! All done - heading off to the cantina now! 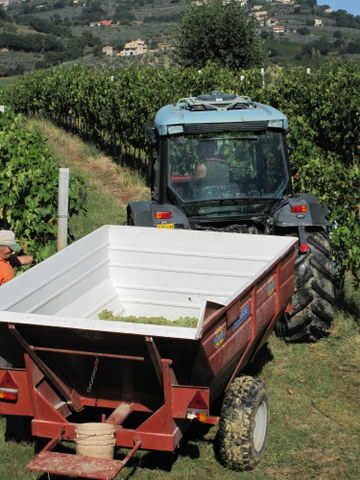 A few days ago our landlord gave us a bunch of the pinot grigio grapes, I have to say, they were delish! 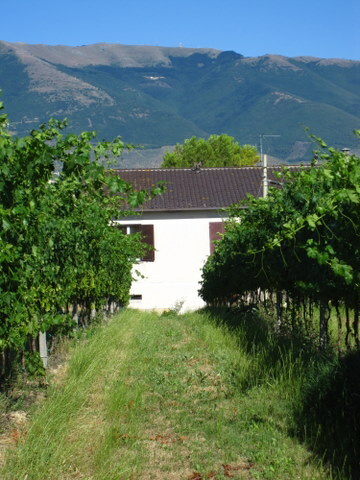 So now we will HAVE to visit this cantina again, knowing that the grapes from our own back garden go into their wines! « L’Infiorata – An amazing flower festival.. With a twist!